Walgreens earned a B- grade, scoring 70.5 out of 135 possible points, and ranking eighth out of 40 retailers. This represents a significant improvement from 2017 when Walgreens received a D-. The company’s improved score is due to the release of its new safer chemicals policy, including public quantifiable goals and a public RSL. As an initial step, the policy applies largely to private-label products in the baby, beauty, personal care, and household cleaning categories. Walgreens has set a goal of eliminating all of the chemicals on its RSL in these products by the end of 2021, and has already made strides in reformulating sunscreens so that a majority of the formulations do not contain two chemicals of concern. The company is also requiring private-label suppliers to disclose all intentionally added ingredients, including fragrance components, to Walgreens. Suppliers are encouraged to look to EPA’s Safer Chemical Ingredients List in finding safer alternatives and to obtain third-party safer chemicals certifications for their products. Opportunities for improvement: The company can improve by strengthening accountability measures, including conducting its own testing and requiring suppliers to test in third-party approved laboratories. Walgreens should also expand the scope of its policy beyond the categories currently covered and require suppliers to conduct alternatives assessments to avoid regrettable substitutions. Walgreens should become a signatory to the Chemical Footprint Project and pilot it with key private label suppliers. Note: Our assessment is primarily based on the policies and practices of Walgreens (as opposed to the other businesses that are part of Walgreens Boots Alliance). Walgreens Boots Alliance plans to apply the policy initially to Walgreens- and Boots-owned brand and exclusive consumer retail formulated products in the baby, beauty, personal care, and household cleaning product categories. The company intends to work with its suppliers to eliminate the chemicals on its RSL from these products by the end of 2021. The company also created a list of chemicals that it is monitoring and “over time…looking to restrict and/or minimize across [its] product portfolio.” For just the beauty and personal care subcategories, Walgreens plans to monitor for chemicals on the Beauty and Personal Care Stewardship List. Walgreens has also posted this policy on its Boots UK site. The company has not developed a publicly available Manufacturing Restricted Substances List (MRSL), and the policy does not appear to apply to packaging or operations. In September 2015, Walgreens established the new role of senior manager, product sustainability within the Product Integrity & Corporate Social Responsibility Department. The responsibilities of this role are focused on three key areas of product sustainability: formulation, packaging, and vendor practices. The key component of the formulation pillar is the development of a chemicals policy regarding chemicals of concern as well as developing a product transparency program. A significant portion of this position’s performance metrics are dependent on this individual issue. In addition, senior leadership created a Corporate Social Responsibility (CSR) Committee, chaired by the co-chief operating officer, that agrees on CSR targets, measures progress toward achieving them, oversees CSR policy statements, and formally approves the annual CSR report. It is not clear if there are financial incentives for senior management to implement safer chemical policies. According to staff, Walgreens trains vendors on its chemicals policy through its supplier portal, SupplierNet, and this training is required. Staff also mentioned that vendors are notified if the formulation they enter into WERCSmart has any chemicals on Walgreens’ RSL. Walgreens’ policy notes that the company is monitoring certain chemicals that it is looking to restrict or minimize, and expects all suppliers to monitor the use of chemicals on the six authoritative and regulatory lists that comprise the BPC stewardship list within their beauty and personal care portfolios. However, the company doesn’t specifically mention that it requires suppliers to test in third-party approved laboratories for chemicals on Walgreens’ RSL, or that the company itself routinely tests parts, materials, or ingredients provided by suppliers to ensure conformance with the chemicals policy. Walgreens has also not disclosed any initiatives to audit suppliers to ensure they are in compliance with the policy. This year Walgreens staff stated: “all [owned-brand] vendors are required to register and disclose all ingredients to the WERCS (third-party system) which allows for full ingredient screening against our RSL.” The disclosure includes fragrance components, but not impurities. In 2017, the company also stated: “Walgreens currently requires all applicable formulated products to register with the UL-WERCS. Walgreens also utilizes PurView in conjunction with the WERCS to appraise product formulations in targeted categories against a variety of evaluative lists of less desirable chemical ingredients.” It will be utilizing PurView to appraise these formulations against various criteria in order to determine its approach to the development of various policies (including its Chemicals Policy and RSL). Walgreens reported that it has reformulated most of its owned-brand sunscreens, including all of its baby, kid, and moisturizing sunscreen lines, to be paraben-free and oxybenzone-free. The company offers 20 paraben-free sunscreen formulations (83% of all sunscreen formulations) and 15 oxybenzone-free sunscreen formulations (62% of total). Walgreens published its safer chemicals policy and RSL in early November. According to its new policy, “Walgreens Boots Alliance encourages all suppliers of formulated products to endeavour to publicly disclose intentionally added ingredients (either on package labelling or digitally).” Staff added that they are also encouraging the disclosure of fragrance components. The company also discusses these goals with vendors and is working on figuring out incentives for this disclosure. On its website, Walgreens has search filters allowing customers to more easily search for products, such as those in the Bath and Body category, that are paraben-free or phthalate-free, for example. In its policy, Walgreens states that the company: “will work to enable consumers to make informed choices by encouraging suppliers to obtain credible certifications (including third-party certifications such as EPA Safer Choice and Cradle to Cradle Certified) and will make it easy for consumers to find these more sustainable products.” Staff adds that Walgreens discusses the goals of credible certifications with suppliers and the company is working on identifying incentives for suppliers in this area. 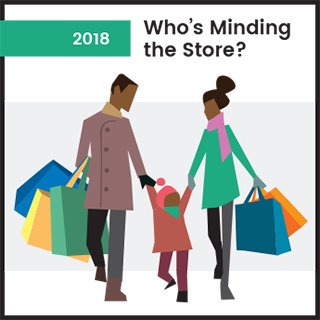 Walgreens participated in a joint announcement with the Mind the Store campaign about its newly public chemicals policy in November 2018. Walgreens has shown significant improvement over the last year by finally creating and publicly releasing its safer chemicals policy and also publicizing its RSL. As an initial step, the policy currently applies largely to private-label products. Walgreens has set a goal of eliminating all of the chemicals on its RSL in baby, beauty, personal care, and household cleaning products by the end of 2021, and has already made strides in reformulating sunscreens so that a majority of the formulations do not contain two chemicals of concern.